Interesting Facts: Honchkrow is roughly twice the size of its pre-evolution, Murkrow. 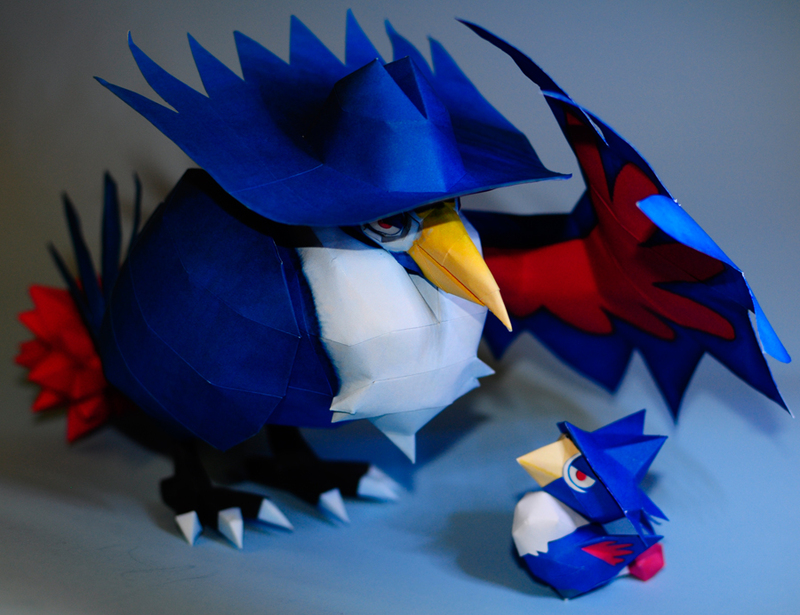 Its feathers are mainly dark blue, while the underside of its wings is partially red. The tail's base is a white, cylindrical stalk, on which there is a growth of red feathers on the end. 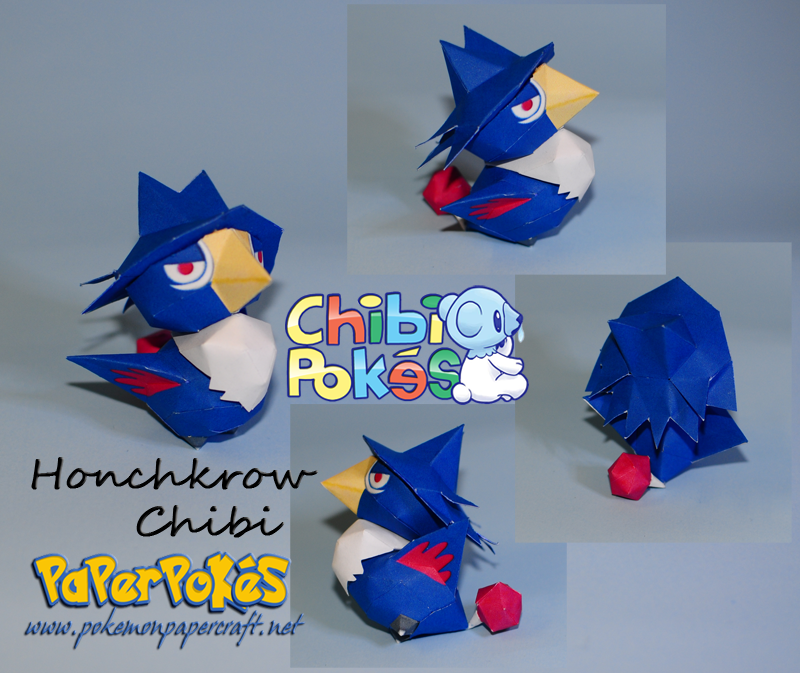 Honchkrow has a white and prominent crest of feathers on its chest that bears resemblance to a beard or cravat. Honchkrow has black feet with four toes, arranged in similar fashion as Murkrow's. Its head is supported by a broad and short neck. It has a slightly curved, yellow beak. The circular eyes have a white cornea and the pupils are red. It has dark blue eyelids. A large feather crest on its head makes it appear to be wearing a fedora hat that has spikes extending from the back. Its specific coat of feathers make it bear vague resemblance to a man dressed in a formal suit and a hat. NOTES: Follow the numbers while building, building the head, hat, and body separately. Attach the parts in any order, being sure the tail rests to balance the model. The chibi is absolutely adorable.